Following our growth in Farmington, Ontario Mall Antiques expanded into Rochester. Our second location opened in February 2016 and is conveniently located in Ridgeview Place in Irondequoit. Featuring 300 glass cases and more than 70 booth spaces, it showcases an impressive range of antiques and collectibles, from furniture, jewelry & memorabilia to glassware, toys, stamps & more. Our merchandise comes from around the world—Germany, Japan, Australia—and from right here at home in the USA. Avoid the typical retail store or e-commerce racket; get higher quality and greater value with the unique gifts, home décor and more available at Irondequoit Mall Antiques. “Nice antique mall with a lot of variety. Aisles of showcases filled with small antiques, collectibles and jewelry with a few booths scattered in between. Plenty of parking which is always nice.” - Pinky C.
Bibliophiles rejoice! Whether it’s fiction or poetry, reference or nonfiction that you enjoy, you’ll find what you’re looking for in our vendors’ impressive collections. 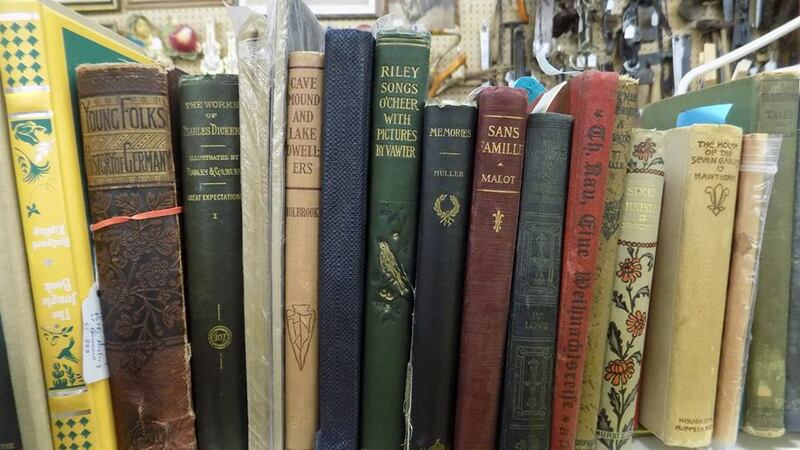 Highlights include vintage editions of the Hardy Boys mysteries, leather-bound volumes of the works of Charles Dickens and Emily Dickinson, and cookbooks with recipes containing everything from artichokes to zucchinis.